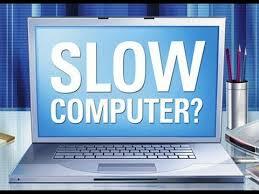 Computer Store Sooke – Cleardesk Shows How To Speed Up Your Slow PC. Call us today on 778 747 3335. If it’s running slower than ever, giving errors, or simply not turning on, you may be thinking that it is destined for retirement, not so fast. Let us show you how to revive it! A shared family computer in a public area of your home such as the living room, kitchen, or shared office is the solution we recommend for families with young kids. It keeps kids focused on their work – it’s harder to sneak in some Minecraft time when mom’s constantly in the room. However, this may not work for every family. If both you and your children spend considerable time on the computer, sharing can lead to conflict, or frustration. Determine how many devices you need and how many you have available. Don’t rule out equipment that isn’t fully functional. Even a laptop with a broken screen works if docked with a monitor. If you need a device primarily for Internet access and word processing to complete assignments, your old tablet with a Bluetooth keyboard can sub in for a PC or laptop. Replacing parts or adding accessories like this is usually cheaper than purchasing a whole new computer. When it comes to slow and sluggish equipment, it’s best to ditch all the accumulated baggage. If you’ve backed up your data on the cloud or don’t have any important files on a corrupted system, consider a factory reset. This will override any malware or corrupted files with a fully functional operating system. If you’re wondering how to do this, head over to YouTube and search for “restore to factory settings“. The primary hurdle that most users encounter is that restoring your computer wipes out both the bad and good. Any software that you’ve installed whether it’s a program, game, or drivers that allow your device to recognize peripherals such as printers and cameras will be lost. You’ll have to reinstall anything that you want to continue using. There are significant benefits to this process, though. It lets you take inventory of applications installed on your device. For example, would it really be so terrible if “Clash of Clans” never made it back onto the tablet Jane will use for school? If you feel that having to restore and reinstall everything is too much to handle, you may be able to restore your computer or device to a previous date without having to do a full wipe. This is particularly helpful if you can recall a time when your device was performing reliably. Even if your computer doesn’t need a full restoration, it’s a good idea to carry out periodic maintenance for performance improvements. Best local computer store Sooke – we can offer this as service – here’s some tips. This will help you get rid of junk programs, browser extensions, and toolbars toolbars that you don’t recognize. Repeat the same process in your browser. Open your browser and look for the extensions section. Uninstall any unnecessary add-ons that may be slowing down your internet experience. Next, call in your Anti-Virus. Before you run a scan, check for any program updates. This will ensure the program is able to detect recent malware. If your antivirus is out of date and prompting you to pay a fee for reactivation, consider a free alternative like Avast Free Edition or our favorite, Webroot Antivirus. Once you have an up to date program installed, run a full scan and get rid of the junk programs and malware hogging your system’s resources and slowing it down – or worse. 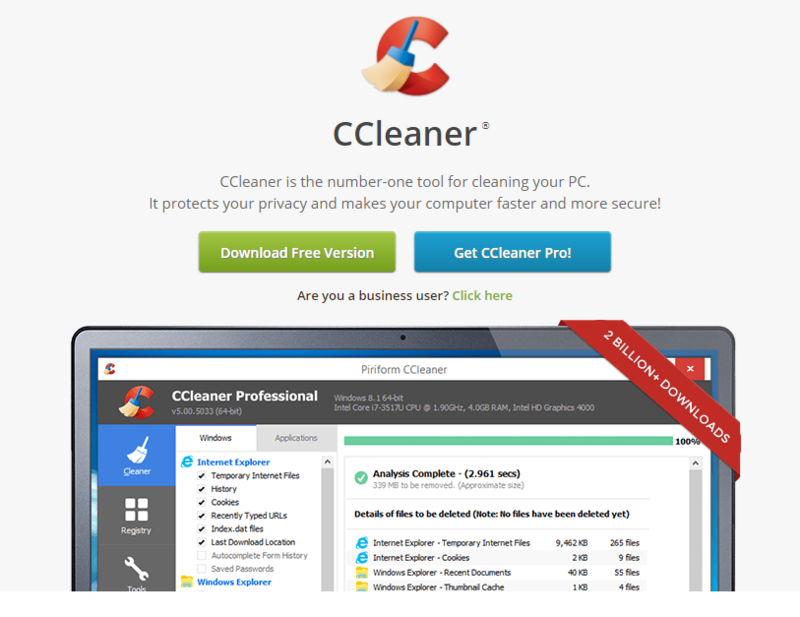 Free tools like CCleaner help repair any registry errors left after removing all junk programs. Cleardesk Computer Store Sooke can show you how. Registry errors can cause your programs to not open or run properly, including your operating system. One word of caution: if you like that websites pre-fill your username and automatically recognize you, make sure to un-check the box for removing cookies. Only install programs you need to be productive. If the computer is to be shared, set up separate user accounts (if possible) and reserve admin privileges for yourself. This will allow you to control what gets installed and limit the likelihood of infected or junk programs sneaking on to your new or freshly cleaned system. Also, take this opportunity to switch over to a safe browser (if you haven’t already done so) like Google Chrome which was chosen as the best browser of 2017 by TechRadar. If you want a different browser, make sure it performs exceptionally with limited resources. Opera is a great choice if you have older hardware that lacks the processing power to run Chrome efficiently. Cleardesk Computer Store Sooke – recommends if you have children -now is also a great time to set up parental control restrictions. Some computers and devices have built-in parental control features. Head back over to YouTube to find tutorials specific for your device. 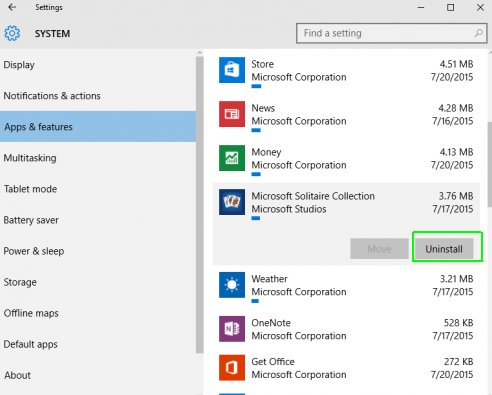 An example search may look something like, “set up parental control on iOS 9” or “set up parental control on Windows 10“. You’ll get plenty of videos that show you how to do this. You may also want to consider investing in a robust parental control software suite like Net Nanny, which lets you customize what type of online content is acceptable among 18 categories (such as weapons, death/gore, or tobacco) for each user. The program costs $40/yr for use on one computer. For $59/yr you can run the software on up to 5 devices including Android and iOS. If software cleaning/repair doesn’t fix your woes, and your system is beyond the help of a minor hardware change, it’s time to explore your options for a new device. While a super-cheap tablet will likely be too limited in function to get through anything other than online research, there are capable laptops on the market for under $600. The Dell Inspiron 15 3000 is one such option for $599. While we are big proponents of squeezing every ounce of life and value out of your technology, if it’s time to get something new, around this time of year is a great time to score a deal on basic computers and mobile devices. Make sure to consider current and future needs when investing in something new. With a fresh start for your technology, you’ll be ready to take off.